Battle of Bullet Club stablemates here. Both men do the “Too Sweet” hand motion to each other in a sign of respect. They lock-up and break multiple times. Gallows with a gut kick and a side headlock, but no one goes down off a shoulder tackle multiple times. They go nose-to-nose and exchange strikes, then Fale with a series of gut shots and clotheslines Gallows to the outside. Fale goes out after Gallows, but Gallows with a gut kick and a series of throat thrusts. Gallows sends Fale into the barricade, then stomps away at him. Back in, Fale stomps away at Gallows and stands on his back. Fale shoves the ref, then stands on Gallows’s back again. More gut shots by Fale, followed by a series of crossface shots to the neck. Gallows avoids a corner charge and hits a gut kick, followed by more throat thrusts. Gallows clotheslines Fale to the outside, but Fale pulls him out with him and hits a series of back clubs. Fale sends Gallows into the barricade. Back in, Gallows with a series of back clubs to Fale and stands on his back. Gallows now with a series of gut shots, followed by another throat thrust. Gallows with a body block in the corner, but Fale avoids a flying shoulder tackle and hits a big splash for a nearfall. Fale goes for the Grenade, but Gallows fights out and hits another throat thrust. Head kick by Gallows, followed by the Gallows Pole, but Fale kicks out! Strike exchange, then they clothesline each other at the same time. Fale with a clothesline for a nearfall. Fale charges in, but Gallows catches him with a pump kick for the win. Both men do the “Two Sweet” hand motion again afterwards and leave together. Crowd chants for Nagata as the bell sounds. Chain wrestling early until we have a stalemate. Nagata backs Smith into the ropes and breaks clean. More chain wrestling until we have another stalemate. Nagata with a leg kick, but Smith with a kick to the back and a series of knees to the ribs. Smith with a side headlock and a shoulder tackle, but Nagata avoids a leg drop. Smith avoids a head kick by Nagata and we have another stalemate. Smith with a gut kick and a series of forearms. Strike exchange ensues, then Smith with a knee to the ribs and sends Nagata to the outside. Smith sends Nagata into the barricade, then off the ringside table. Smith with a crossface shot, then taunts the crowd. Smith then SLAMS NAGATA ON THE FLOOR!! Smith gets back in as the ref’s 20 count reaches 10. Nagata JUST BARELY gets back in. Strike exchange, Smith gains advantage. Sleeper with body scissors applied by Smith, Nagata gets to the ropes. Nagata slips out of a suplex, but Smith with a back elbow. Smith runs into a boot by Nagata, then Nagata with a series of chest kicks. Running boot in the corner by Nagata, but Smith blocks the Exploder of Justice. Nagata with a series of leg kicks, then avoids a clothesline, feigns a dropkick to Smith and dropkicks Smith in the knees. Another running boot by Nagata, then this time hits the Exploder of Justice for a nearfall. Smith blocks a suplex and hits more knees to the ribs. Nagata with more leg kicks, but Smith catches him with a powerslam for a nearfall. Smith with a leaping knee, but Nagata blocks a Tiger. Strike exchange, Smith with an uppercut, Nagata with a big boot. Smith catches a kick and hits a Capture for a nearfall. Smith this time hits the Tiger for a nearfall. Smith goes for the Bulldog Bomb, but Nagata fights out. Nagata takes Smith down and locks in the Fujiwara armbar with his eyes rolling back in his head, Smith gets to the ropes. Nagata with another boot, followed by the Justice Knee in the corner. Smith slips out of the Backdrop Hold, but Nagata hits a release German. Nagata with a big forearm, but Smith again blocks the Backdrop Hold. Nagata with a spin kick, followed by the Wrist-Clutch Exploder of Justice for the win. Yujiro attacks Makabe as the bell sounds. Series of forearms by Yujiro, then sends Makabe to the outside. Makabe fights back, but Yujiro sends him into the ringpost, then into the barricade. Yujiro snapmares Makabe on the rampway, then hits a sliding kick. Yujiro gets back in and the ref begins his 20 count. Makabe gets in at the ref’s 16 count. Yujiro stomps away at Makabe, then hits a back elbow and taunts the crowd. Yujiro with more forearms, then chokes Makabe with his boot. Makabe fights back, but Yujiro with a big forearm to the injured jaw of Makabe. Back elbows and forearms by Yujiro in the corner, then chokes Makabe with his boot. Yujiro with a running boot to Makabe in the corner. Yujiro paintbrushes Makabe, then Makabe runs into a boot, but comes back with a clothesline. Makabe with a series of clotheslines in the corner and the 10 punches. Yujiro blocks the Northern Lights and hits a big right hand to Makabe’s injured jaw. Fisherman’s Buster by Yujiro for a nearfall. Series of kicks and forearms by Yujiro, but Makabe yells at him to give him some more. Yujiro with a clothesline, but Makabe does not go down and he fires back with one of his own. Yujiro slips out of a powerbomb and rakes the eyes, but Makabe with a powerslam. Makabe this time hits the powerbomb for a nearfall. Makabe heads up top for the King Kong Knee Drop, but Yujiro rolls out of the way! Both clothesline each other at the same time, then Yujiro avoids a clothesline, but Makabe with a left-arm lariat for a nearfall. Makabe goes for a Death Valley Driver, but Yujiro rakes the eyes and sends Makabe into the ref, knocking him down. Yujiro then kicks Makabe down low while the ref is down and hits the Buckle Bomb! Miami Shine by Yujiro for the win. Shibata backs Kojima into the ropes and shoves him. Kojima with a series of back clubs and forearms, then locks in a side headlock. Kojima with a shoulder tackle, then sends Shibata to the outside. Shibata sends Kojima into the barricade and hits a running boot. Series of chest kicks by Shibata, then he goes onto the apron to head back in, but Kojima sweeps out his leg. Kojima goes onto the apron with Shibata and HITS AN APRON DDT!! Back in, Kojima stomps away at Shibata, then hits a neckbreaker for a nearfall. Chinlock applied, followed by an elbow to the face of Shibata. Kojima with the rapid-fire chops to Shibata, but Shibata fires back with a series of forearms. Kojima then responds with a BIG chop in the corner! Kojima with a running elbow in the corner, then heads up top, but Shibata with a flying kick that knocks Kojima off the ropes and to the outside. Kojima sends Shibata into the barricade, but Shibata blocks a suplex and SUPLEXES KOJIMA ON THE FLOOR!! Both get back in at the count of 19 of the ref’s 20 count. Strike exchange, Kojima gains advantage and hits a rolling elbow. Shibata catches Kojima off the ropes with a kitchen sink. Shibata with a series of forearms and uppercuts to Kojima into the corner, but when Shibata sets to charge, Kojima follows him in and hits a clothesline. DDT by Kojima, but Shibata slips out of a suplex and locks in a Sleeper. Kojima counters out with a Backdrop Driver, but Shibata POPS RIGHT UP and hits his own Backdrop Driver! Kojima slumps to the corner, then Shibata charges in and hits the hestitation dropkick! Butterfly by Shibata for a nearfall. Shibata goes for Go 2 Sleep, but Kojima fights out and hits an Ace Crusher. Off comes the elbow pad, but Shibata blocks the Lariat with a boot. Shibata off the ropes, but Kojima catches him with a left-arm lariat for a nearfall. Kojima with a Brainbuster for a nearfall. Kojima goes for the Lariat again, but Shibata catches him with a dropkick! Kojima with a series of forearms, but Shibata with a spinning back chop to Kojima’s neck!! GO 2 SLEEP!!! Goto backs Anderson into the ropes and shoves him. Anderson backs Goto into the ropes and shoves him back. Goto with a side headlock, then takes down Anderson. Exchange of takeovers and counters out by both men until we have a stalemate. Anderson with a gut kick, a right hand and an uppercut. Side headlock applied by Anderson, but Goto with a shoulder tackle. Anderson rolls out to the outside and Goto goes out after him. Goto with a series of forearms, but Anderson sends Goto into the barricade and hits him with a pump kick. Anderson then takes a piece off of the barricade and THROWS IT AT GOTO!! Anderson gets back in as the ref begins his 20 count. Goto gets back in at the count of 18. Anderson stomps away at Goto, then hits a series of knee drops for a nearfall. Chinlock applied. Goto fights out, but Anderson with a dropkick for a nearfall. Anderson sends Goto hard into the corner, then rakes his forearm against Goto’s face. Anderson kicks at Goto, then paintbrushes him, but it fires Goto up. Goto with a series of overhand chops, but Anderson with a big forearm. Both clothesline each other at the same time multiple times, then Goto with a clothesline. Goto with a series of forearms, followed by the spinning heel kick in the corner and a Backdrop Driver for a nearfall. Goto goes for Ushikoroshi, but Anderson fights out. Goto runs into a boot, then Anderson avoids a charge into the corner and hits a flying kick, followed by a running sit-out powerbomb for a nearfall. Strike exchange, then Anderson with a big uppercut, but Goto with a headbutt. Anderson catches Goto off the ropes with a pump kick, then goes up top with Goto. Anderson goes for a Super TKO, but Goto blocks it. Strike exchange on the ropes, Goto gains advantage. TOP ROPE CODE RED BY GOTO, ANDERSON KICKS OUT!! Goto goes for Shouten Kai, but Anderson slips out and hits a forearm to the back of Goto’s head. Goto goes off Anderson’s blind side, but Anderson avoids a clothesline, then blocks another. Goto catches Anderson off the ropes and this time hits Ushikoroshi for a nearfall. Goto goes again for Shouten Kai, but Anderson with a knee to the head to slip out. Got slips out of the Gun-Stun, goes again off Anderson’s blind side, but Anderson blocks a clothesline with a boot. Anderson avoids a discus clothesline by Goto, goes off Goto’s blind side, but Goto again blocks the Gun-Stun. Goto catches a kick, but Anderson this time hits the Gun-Stun for the win. Afterwards, Anderson cuts a promo backstage and says that it will be an all-Bullet Club final in the Seibu Dome on August 10 and an all-Bullet Club main event in the Tokyo Dome in January. Anderson says he just showed Goto why he is one of the best and that when he hits the Gun-Stun, you don’t get up. And that’s the bottom line because the Machine Gun said so! Battle of Suzuki-Gun stablemates here. Suzuki with a leg kick early, then avoids Archer. Another leg kicks by Suzuki, then Archer throws him into the corner. Archer runs into a boot, then hits a Crackerjack throw and a shoulder tackle. Archer goes to clothesline Suzuki off the apron, but Suzuki catches him with an armbar in the ropes. They head outside and Archer with a series of knees to the ribs, then sends Suzuki into the barricade. Suzuki avoids a running boot, places Archer’s leg across the barricade and hits a running boot to the barricade. Suzuki with a leglock to Archer on the outside. Suzuki places Archer’s leg in the barricade and kicks the barricade again, then goes back to the leglock. Suzuki with a series of gut shots and a knee to the ribs. Suzuki gets back in as the ref begins his 20 count. Archer just BARELY gets back in. Suzuki with a series of headbutts to the back of Archer’s head, then re-applies the leglock. Archer tries to reach the ropes, but Suzuki pulls him back to the center. Archer tries again, but again Suzuki pulls him back to the center. Archer finally is able to reach the ropes to force a break. Suzuki stomps away at Archer’s leg, followed by a big forearm. Suzuki off the ropes, but Archer catches him with a powerslam. Archer with an avalanche in the corner, followed by a suplex and a big splash for a nearfall. Suzuki with a series of gut shots, but Archer with a facebuster across the knee. Suzuki goes off Archer’s blind side, but Archer catches him with a side slam for a nearfall. More gut shots by Suzuki, followed by a big slap. Archer with a big overhand chop, then drives Suzuki into the corner. Archer places Suzuki up top and goes for the Blackout, but Suzuki counters out into a Sleeper. Suzuki goes for the Gotch Piledriver, but Archer blocks it and counters out with a back body drop. Suzuki avoids a boot, but Archer goozles him. Archer goes for a chokeslam, but Suzuki gets out with a knee strike to the head, followed by a sliding kick. Saka Otoshi applied, Archer taps. Suzuki & Archer embrace afterwards and the members of Suzuki-Gun stand tall in the ring and leave together. Benjamin attacks Nakamura as the bell sounds. Benjamin stomps away at Nakamura, then chokes Nakamura with his ring jacket. Benjamin mocks Nakamura’s pose in the ropes, then they exchange strikes. Nakamura with a knee to the ribs, but Benjamin catches a kick and drops Nakamura’s leg across his own shoulder. They go outside and Benjamin with a kneebreaker to Nakamura on the apron, then pulls at Nakamura’s leg against the barricade. Benjamin with more kicks to Nakamura’s leg, then pulls at the leg against the ringpost. Back in, Benjamin with an elbow drop to Nakamura’s leg and applies a leglock, Nakamura gets to the ropes. Benjamin with a superkick to the back of Nakamura’s leg, followed by a Knee-DT into a half crab. Nakamura is able to reach the ropes. Benjamin taunts the crowd, then he & Nakamura exchange strikes again, with Nakamura gaining advantage with the Superman forearm. Benjamin with another kick to Nakamura’s leg, but Nakamura with a knee to the ribs. Nakamura tries to get the blood flowing back in his leg, then hits an enziguri. Nakamura stomps away at Benjamin in the corner, then does the shaky boot dealy-a-bob. Nakamura places Benjamin across the top rope and hits a running knee to the ribs for a nearfall. Benjamin blocks a reverse suplex, takes Nakamura down and locks in the Ankle Lock. Nakamura is able to reach the ropes. Nakamura with a knee to the ribs, Benjamin avoids a head kick, but Nakamura with a back heel kick. Another knee to the ribs by Nakamura, followed by this time hitting the reverse suplex. Nakamura goes for the Boma-Ye, but Benjamin catches him with a superkick, followed by a German for a nearfall. Benjamin goes for Paydirt, but Nakamura blocks it and locks in a cross armbreaker. Benjamin gets out and locks Nakamura back in the Ankle Lock. Nakamura almost reaches the ropes, but Benjamin pulls him back to the center. Nakamura kicks Benjamin off, then Benjamin runs into a forearm. Nakamura goes to the middle rope, 2ND ROPE BOMA-YE!! BOMA-YE, BENJAMIN KICKS OUT!! Styles backs Tenzan into the corner and shoves him. Styles drives Tenzan’s arm across his own shoulder, but Tenzan takes him down and applies a leglock, Styles gets to the ropes, then goes outside to regroup. Back in, Styles with a side headlock, avoids a clothesline and does Tenzan’s own Mongolian Chops, but they have no effect on Tenzan! Tenzan then with a series of Mongolian Chops that knock down Styles. Tenzan with a side headlock, followed by a shoulder tackle. Tenzan with a back body drop and Styles goes back outside to regroup. Tenzan goes out after him, but Styles leaps over the barricade when Tenzan goes to send him into it and hits Tenzan with a superkick! Styles gets back in as the ref begins his 20 count. Tenzan gets back in at the count of 17. Styles stomps away at Tenzan, then hits a slam, followed by a leaping knee drop. Styles with a kick to Tenzan’s back, but Tenzan fights back. Styles with a big slap, but Tenzan catches him off the ropes with the Mountain Bomb. Styles drives Tenzan into the corner and hits a series of shoulders to the ribs, followed by a big chop. Backbreaker by Styles for a nearfall. Snapmare into a chinlock by Styles, Tenzan gets to the ropes. Styles then hits the Phenomenal Dropkick and taunts the crowd. Chinlock re-applied, Tenzan gets free. Tenzan fights back, then they exchange chops. Styles hits an enziguri, then goes for the Styles Clash, but Tenzan blocks it, then back body drops Styles over the ropes and to the outside! Styles gets back in, then Tenzan with 2 clotheslines in the corner. Tenzan heads up top and hits Calf Branding on Styles for a nearfall. Suplex by Tenzan for a nearfall. Tenzan stomps away at Styles, but Styles hits a series of strikes, ending with a spinning backfist and a discus clothesline. Springboard moonsault by Styles for a nearfall. Styles goes again for the Styles Clash, but Tenzan again blocks it. Styles charges in, but Tenzan catches him in mid-air with a headbutt, followed by a falling headbutt for a nearfall. Anaconda Vice applied, but Styles quickly fights out. Tenzan hits a spinning heel kick, then heads up top and hits the diving headbutt for a nearfall. Anaconda Vice re-applied, but Styles gets to his feet. Tenzan then with the Anaconda Buster and keeps the Vice applied, but Styles is able to reach the ropes to force a break! Tenzan calls for the Moonsault and hits a slam. Tenzan heads up top for the Moonsault, but Styles moves out of the way! Styles goes to the apron and hits a springboard forearm for a nearfall. Styles goes for Bloody Sunday, but Tenzan blocks it. Styles avoids a forearm and hits the Pele Kick! Okada avoids Yano early. Okada goes for the arm of Yano, but Yano quickly gets to the ropes. Okada with shots to the arm of Yano, then does his pose. Yano then does his shrug and Okada with a series of right hands. Yano tries to pull Okada down by the hair, but Okada with more right hands. Snapmare, followed by a sliding dropkick by Okada that sends Yano to the outside. Okada goes out after Yano, but Yano sends him into the ringpost. Yano grabs a chair, but Gedo stops him. Okada charges in, but Yano avoids him and Okada accidentally hits Gedo with a boot! Yano sends Okada into the barricade, then hits a chairshot to the throat. Yano throws Okada into the crowd, then gets back in and removes the padding off of one of the corners. Ref begins his 20 count and Okada gets back in by the count of 14. Yano sends Okada into the exposed corner, then stomps away at him. Slam by Yano for a nearfall. Yano chokes Okada in the ropes and pulls at his face. Yano sends Okada again into the exposed corner, followed by a hiptoss for a nearfall. Yano sends Okada again into the exposed corner, but Okada avoids a charge and Yano goes into the exposed corner! Okada with a DDT, followed by a back elbow and a big boot. Another DDT by Okada, then he kips up. Okada with a front slam, followed by a slingshot senton bomb for a nearfall. Okada charges in, but Yano drop toe holds him into the exposed middle turnbuckle! Roll-up by Yano for a nearfall. Okada hits the Emerald Frosion across his knee, followed by a slam. Okada heads up top and hits the top rope elbow drop. Okada calls for the Rainmaker and goes for it, but Yano avoids it and catapults Okada into the exposed corner! Okada slips out of Oni Koroshi, then avoids a low mule kick. Okada hits the Picture-Perfect Dropkick, then again goes for the Rainmaker, but Yano pulls the ref in front of him and Okada avoids hitting the ref. Yano throws the ref into Okada, then hits a low kick. Akakiri by Yano, but Okada kicks out! Yano again goes for Oni Koroshi, but Okada slips out. Yano again throws the ref at Okada, but Okada moves him out of the way. Tanahashi backs Ishii into the ropes, but misses a right hand and Ishii with a chop. Tanahashi with a side headlock, but no one goes down off a shoulder tackle. Tanahashi with a gut kick, but Ishii with a shoulder tackle. Headbutt by Ishii, but runs into a back elbow. Ishii grabs Tanahashi from the middle rope, but Tanahashi blocks a German. Tanahashi off the ropes, but Ishii catches him with a powerslam. Double sledge to the back and a forearm to the kidneys by Ishii. Series of headbutts, followed by a chop. Chop exchange ensues, but Tanahashi’s chops have no effect on Ishii. Ishii with a big chop that knocks Tanahashi down. Ishii kicks at Tanahashi, then talks trash to him. Tanahashi with a series of gut shots, but Ishii with another headbutt. Series of chops in the corner by Ishii. but Tanahashi fires back with forearms & gut shots. Ishii fires up out of the corner and treats Tanahashi to a Violence Party. Tanahashi avoids a charge in the corner and hits a crossbody, followed by a gut shot, a forearm and an uppercut. Series of forearms, but Ishii fires up again out of the corner and gets in Tanahashi’s face! Strike exchange, Ishii gains advantage, but then Tanahashi with a series of uppercuts. Tanahashi with a dropkick to Ishii’s knees, then catches a kick and hits a Dragon Screw. Cloverleaf applied by Tanahashi. Ishii tries to reach the ropes, but Tanahashi pulls him back. Ishii is finally able to reach the ropes to force a break. Tanahashi goes for another Dragon Screw, but Ishii with an enziguri. Ishii then catches a kick by Tanahashi and hits his own Dragon Screw. Sharpshooter applied by Ishii. Tanahashi tries to reach the ropes, but Ishii pulls him back to the center. Tanahashi is finally able to reach the ropes to force a break. Ishii with a clothesline in the corner, then goes up top with Tanahashi. Ishii with the delayed superplex on Tanahashi for a nearfall. Ishii goes for a powerbomb, but Tanahashi slips out. Ishii with an enziguri for a nearfall. Ishii slips out of the Slingblade, but misses a clothesline and Tanahashi this time hits the Slingblade. Another strike exchange, Tanahashi gains advantage with a series of slaps. Tanahashi feigns going for the Slingblade and instead hits a release Dragon, followed by another Slingblade, but Ishii kicks out! Tanahashi heads up top and hits the High Fly Flow Crossbody! Tanahashi heads back up top for the High Fly Flow, but Ishii moves out of the way! Ishii with a Northern Lariat, then blocks another Slingblade. Tanahashi blocks a Dragon, but Ishii with a headbutt. Sliding Clothesline by Ishii for a nearfall. Ishii with a big clothesline for a nearfall. Ishii goes for the Brainbuster, but Tanahashi slips out. Ishii slips out of a reverse DDT, but Tanahashi with a headbutt, followed by another Slingblade. Ishii comes back with the rapid-fire forearms, but Tanahashi with a series of slaps. Ishii goes for a rolling elbow, but Tanahashi with a clothesline. Tanahashi hits the Twelve Six for a nearfall. Tanahashi heads back up top, HIGH FLY FLOW!! 1-2-3! Tanahashi does his air guitar routine afterwards to close the show. 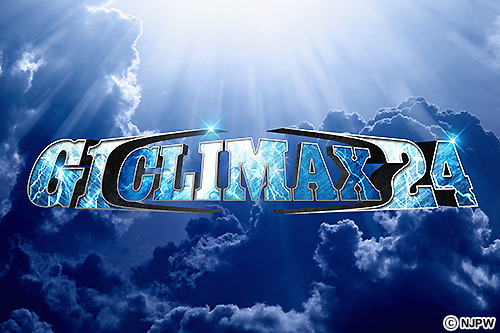 Check back on Friday for a recap of Day 7 of the 2014 New Japan G-1 Climax right here on Wrestleview.com. Til then, remember, PURORESU ICHIBAN!! !